As a Santa Barbara cosmetic surgeon I am often asked, “At what age should I get a facelift or a nose job or a necklift?” The answer is that it is different for everyone. Lots of factors play into the decision to get plastic surgery so I treat each patient on a case-by-case basis. However, there are plastic surgery trends that I have observed amongst different age groups and what they tend to gravitate towards. The procedures could either be surgical or non-invasive aesthetic treatments that can be done at a medical spa like Evolutions Medical & Day Spa in Santa Barbara. Mainly the cosmetic surgery and medical aesthetic treatments that are sought out by young women in their 20s to early 30s are those that address proportions. 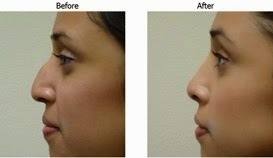 Young women are interested in having their nose fit nicely within their facial features or having a “womanly” figure. So it is probably no surprise that many of these women seek out rhinoplasty nasal surgery to change the appearance of their nose or breast augmentation to create a fuller figure and/or make the breasts more symmetrical. Young women also are interested in having clear skin (especially for those who may have suffered from acne in their teens) and the most popular non-invasive procedure is microdermabrasion because it refreshes the skin by improving texture, helps to fade acne scars and sun spots, and encourages growth of healthy, new skin. Also very popular amongst this age group is Laser Hair Removal. Now that many advanced technologies are offered that very effective in reducing unwanted hair, Laser Hair Removal has grown in popularity to help get rid of unwanted hair and can be done almost anywhere on the body. Many women who have had children begin to seek out cosmetic surgery to help restore the body that they once had. This usually happens when the woman decides she is done having kids and she has had a chance to get back into her normal exercise routine. Unfortunately exercise alone often cannot bring back the body that a woman had before pregnancy and nursing but cosmetic surgery can tremendously help. Often a “Mommy Makeover” procedure is preferred because it addresses multiple issues. A typical Mommy Makeover includes abdominal liposuction and/or a tummy tuck, breast lift or augmentation, and liposuction of the hips and/or thighs. Another concern for this group, especially those in the 40s, is slowing down the hands of time and that is why anti-wrinkle treatments like Botox or Dysport and dermal fillers are very popular. Botox and Dysport relax muscles in the forehead area and around the eyes to give a rested appearance while dermal fillers (such as Restylane and Juvederm) fill in crevices and wrinkles to add volume to the face to give a person a more youthful look. These treatments are easily done at a medical spa, yield nice results, have no downtime, and are affordable to most everyone. They can really turn back the clock without surgery. Age spots and/or sun spots tend to make their appearance in the 40s too. This, coupled with slower cell turnover of the skin, fine lines, and wrinkles, can make a person look much older than they really are. That is why women in this group seek out procedures to improve their skin’s appearance and bring back the glow of their youth. Laser facial treatments, chemical peels, and skin resurfacing (such as Fractional CO2) are treatments that can help to reverse the signs of aging if done at a reputable medical spa or in a cosmetic surgeon’s office. Many women in their 50s are still in the workforce and want to look their best both personally and professionally. This is the time when facial cosmetic surgeries are most popular. Eyelid Lift Surgery removes excess skin and repositions the brow to really open up the eyes. You would be surprised how much more alert and approachable a person can look after this surgery. Forehead Lift Surgery is another way to remove the heaviness of the upper eyelids. The forehead frown muscles are also partially removed so the forehead lines are lessened. 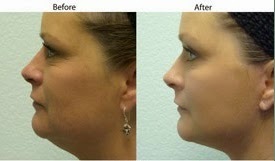 Facelift Surgery addresses skin laxity in the cheek and neck and gives a person a rejuvenated look. 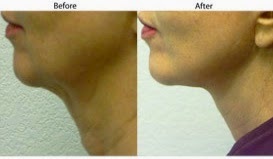 A non-invasive option that is popular in this age group is skin tightening treatments. These treatments tighten existing collagen, tone and lift the skin. They also can stimulate new collagen production so that the skin looks firmer and fresher. Mature women – in their mid-60s and up – gravitate towards Neck Lift surgery to reduce sagging and wrinkles in neck area and/or to enhance the cosmetic procedures they have done in the past. As you can see, there is a cosmetic surgery procedure or aesthetic treatment for almost every decade in your life but this does not mean that you have to have each one done! Also, don’t let these trends dictate when to have procedures done. As I stated in the beginning, cosmetic surgery and aesthetic medical treatments are best done on a case-by-case basis and if you feel strongly about an issue, it is recommended that you discuss your concerns and expectations with your cosmetic surgeon, regardless of what age you are. If you are interested in discussing a Santa Barbara cosmetic surgery procedure, contact my office to schedule a consultation – 805-563-0000. If you are interested in a medical aesthetic procedure, please contact Evolutions Medical & Day Spa in Santa Barbara for a consultation – 805-687-0212.